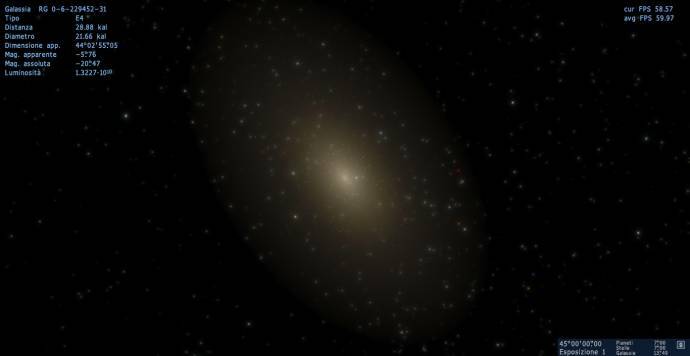 In notice that when I check the file location of RC2 .974 there is no catalogs, so how would I be able to add planets to the solar system and make stars? I notice there is an "addons" folder and I put my .sc file in it and it didn't work. My sc file is included below if you need to see it. steeljaw354, you must add planet sc files to addons/catalogs/planets/. the standard catalogs are in the folder 'data\catalogs' in the 'Catalogs0974.pak' file. This is a renamed .zip file. You should not touch this. For your own scripts, you have to use the 'addons' directory. In this folder you have to create another folder named 'catalogs'. In this 'catalogs' folder you must create two additional folders. One with the name 'planets', another with the name 'stars'. Your script for the 'StarBarycenter' or the 'Star' belongs to the folder 'stars', the script for the planets in the folder 'planets'. You usually needs always two scripts, unless you want to create planets around an existing star. Then you need only this one script. Do I still need to go to the config and do "catalogs/planets/solplanets.sc" or does that no longer exist because I no longer see stuff like I used to in the config? Hello! Here is three splashes. The first splash is with primordial Earth and Moon. I couldn't find info on whether the new RC2 should still be installed on top of version 0.9.7.3. Am I correct in the assumption that this is still the case? No, RC2 is a standalone version. Do NOT install it on top of an older installation. 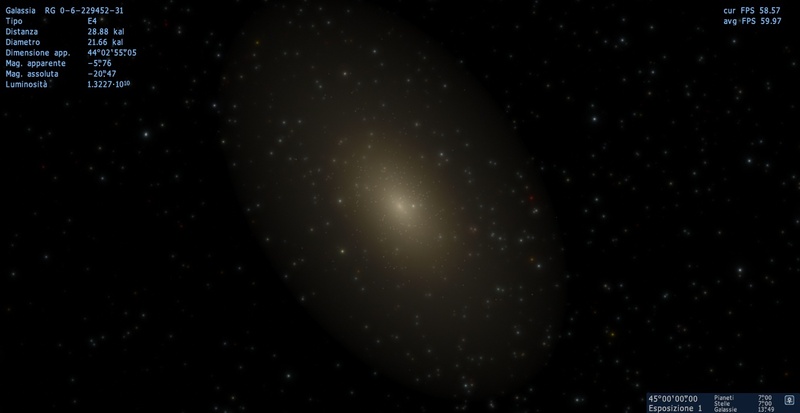 So, why are elliptical galaxies so awfully dim in this version? I really liked how shiny they were in 0.973. Looks shiny to me. Maybe there's something changed with your parameters settings. Looks shiny to me. Maybe there's something changed with your parameters. Oh, I reinstalled the whole thing, and it's back to normal again. just out of curiosity, did you install your previous 0.9.7.4 on top of the existing 0.9.7.3? RafukaMillan, upload your log file.